Millennium Film: "A Bride Of The Seventh Heaven"
The film A Bride from the Seventh Heaven was filmed in 2002 and 2003 with the assistance of the local Nenets on location in the tundra of the Yamal Peninsula. They all are ordinary people, amateurs in acting. The leading role is that of an old Nenet woman called Syarda, her full name being Numd Syarda. The word Num means heaven and is also the name of the highest god of the Nenets. Syarda means tied to or imprisoned. So Numd Syarda literally means tied or spliced to Num. 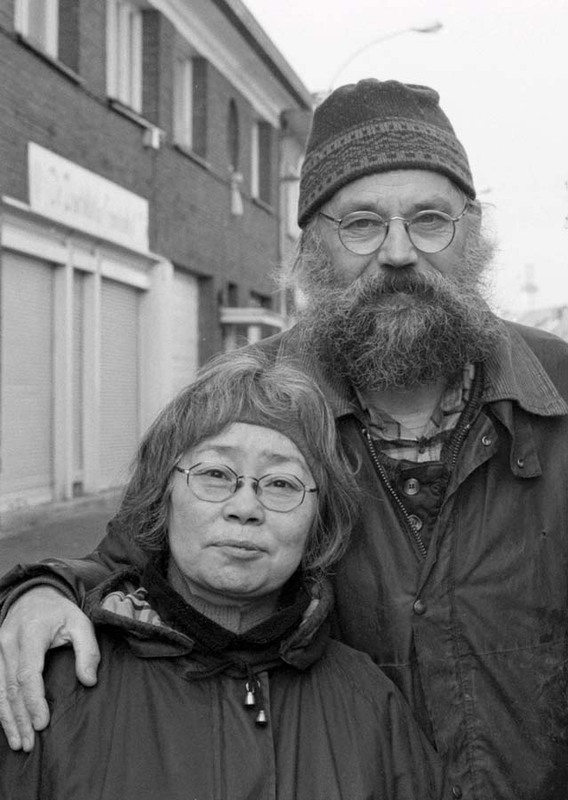 The film is about loneliness, about a lonely old woman who recounts her life to a blind girl called Ilne. Her name, Ilne, means giver of life. In the Nenet culture, in the past and still today, a girl child can be offered to the god Num before or after her birth. Normally, it takes place after her birth once the gender is known. She may be pledged to the god for three, four or five times seven years, or even for the time of her whole life. It begins at her birth. When the time runs out, the woman may take an earthly husband for her lifetime partner. In the film, on the word of a shaman's prediction Syarda was pledged to the god before her birth. The script is by Anastasia Lapsui and is based on her own experience. As a young girl, she was blind for some years and often visited an old woman living alone in the neighbouring tepee. They were friends and the old woman told Anastasia Lapsui about her life betrothed to a god. The film is her story. The script writer Anastasia Lapsui is a Nenet. 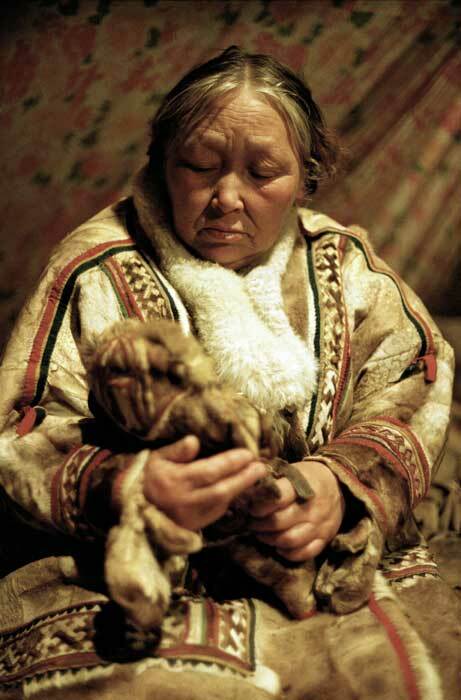 Nenets live on shores of the Arctic ocean, from the Arkangel area to the Tajmyr Peninsula. There are about 35 000 of them. Their livelyhood comes from reindeer herding, hunting and fishing. The events of the film are set on the Yamal Peninsula, where Anastasia Lapsui herself was born into a reindeer herder family. 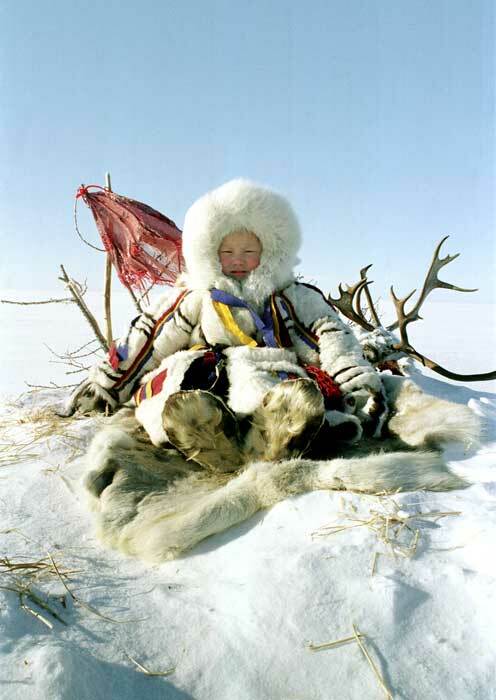 Most of the Nenets live on the Yamal Peninsula. The script is based on Anastasia Lapsui's childhood experience. In her childhood she was weak and often ill. The parents feared that she would die and called a shaman to their tepee to find out what was the matter with the child. The shaman told them that the child would do well in life, but she had to be ordained to God, to Num. Anastasia Lapsui became a bride of God. Starting school was a great shock to Anastasia, she lost her sight for a few years. When she was blind, she often visited the neighbouring tepee, where there lived an old woman, she too a bride of God. From these experiences and from the role of Nenet women was born the film script A Bride of God.